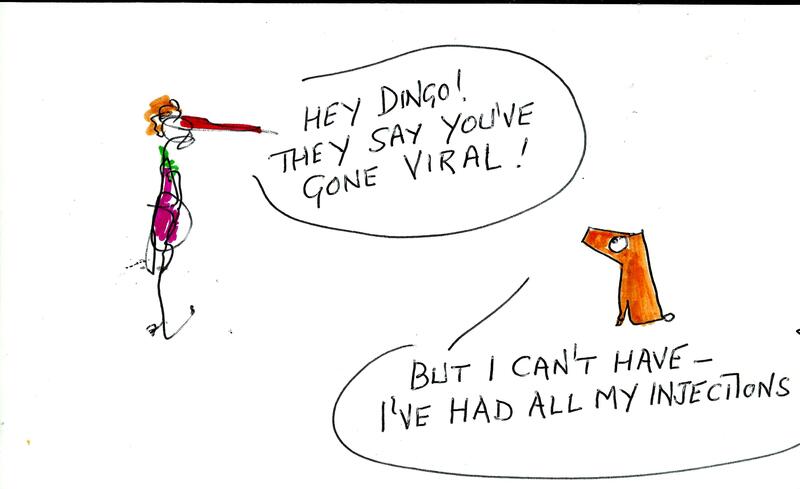 Ebenezer got it all wrong – Dingo didn’t go viral, but you never know: one day, perhaps! Dingo, Ebenezer and Co., have already read them and they reckon they’re absolutely sensational but of course, they’re somewhat biased – they’ve GOT to say that because the Old Man provides them with board and lodgings! But if anyone should happen to be interested and wants to see for themselves, they can always go to Publishing Direct or Amazon, buy a copy and then write a 5 star review (that’s compulsory) because as Dingo said: “I’m getting fed up with living off scraps from the dustbin – we deserve better than that”. H.V. Morton Niall Taylor’s excellent blog dedicated to Britain’s foremost 20th century travel writer, H.V. Morton.